Radon is a cancer-causing radioactive gas. You cannot see, smell or taste radon, but it may be a problem in your home. Radon is the Number One cause of lung cancer among non-smokers, according to EPA estimates. Overall, radon is the second leading cause of lung cancer. Radon is responsible for about 21,000 lung cancer deaths every year. Radon testing can help prevent future health concerns for you and your family. The amount of radon in the air is measured in “picocuries per liter of air,” or “pCi/L”. The average indoor radon level is 1.3 pCi/L. The average outdoor radon level is 0.4 pCi/L. The air pressure in a house is generally lower than in the surrounding air and soil, particularly at the basement and foundation levels. This difference in pressure causes a house to act like a vacuum, drawing in air containing radon, as well as other soil-gases, through cracks in the foundation and other openings. Some of the replacement air comes from the underlying soil and can also contain radon. What Is A Safe And Acceptable Level Of Radon Gas? The US EPA has set an acceptable level of below 4 pCi/L. At or above this level of radon, the EPA recommends you take corrective measures to reduce your exposure to radon gas. A family whose home has radon levels of 4 pCi/l is exposed to approximately 35 times as much radiation as the Nuclear Regulatory Commission would allow if that family was standing next to the fence of a radioactive waste site. Radon testing is easy. Hire Integri-Spec Inspections to perform a professional quality test. 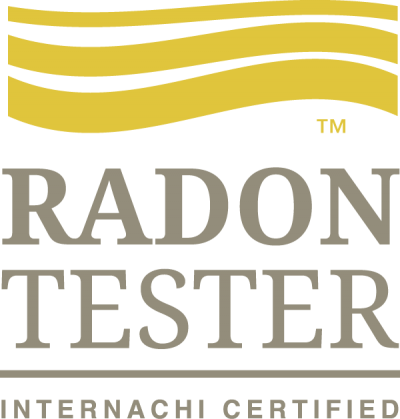 Testing is the only way to know your home’s radon levels. There are no immediate symptoms that will alert you to the presence of radon. It typically takes years of exposure before any problems surface. For More Information check out the MN Department of Health Website.